The Closers – Part 2 by Ben Gay III. 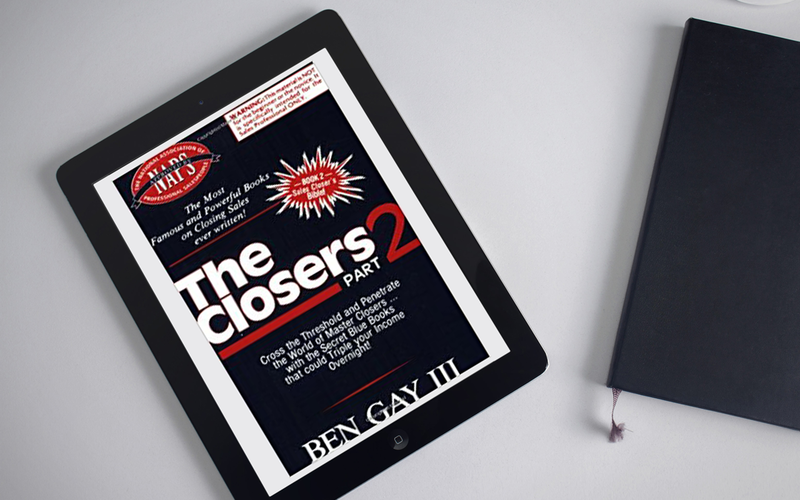 Ben’s book series, The Closers, has sold over 5,000,000 copies. That alone should tell you something. Here’s what I enjoyed most about the second book in the series: Ben reveals some of his favorite stories and wisdom from his 50+ year career in the sales industry. In addition, the level of people he’s studied with and influenced over the years is simply mind-boggling. I have read a lot of sales books, and this one is frankly right near the top and I am glad I came across not just his book, but the amazing wisdom he graciously shares with the reader. Get this book, read it, apply it, and watch your sales take on a whole new level you might have never thought possible.